The fun way to put your stuff away. Clean up, Store, Stuff and Organize! Tummy Stuffer Wild Ones the fun way to put your stuff away! Tummy Stuffer Wild Ones as seen on TV the great way to clean up stuff, store stuff, organize stuff or hide stuff. The 13" Tummy Stuffer holds lots and lots of stuff and when full makes a cuddly pillow. Kids and Moms love Tummy stuffers! 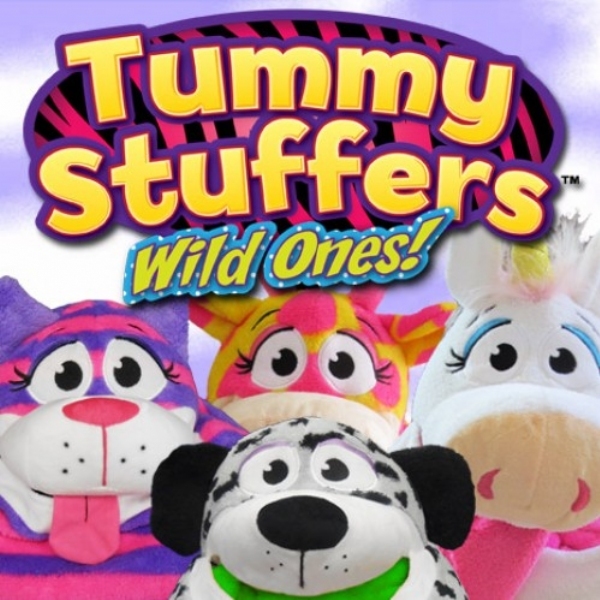 Tummy Stuffer Wild Ones stuff, store, snuggle and more! Buy Tummy Stuffers Wild Ones today! When it finally came in the mail, my daughter and I were so excited. This was a gift for her for keepin her room clean. (she&apos;s 5) we opened the box and I was disappointed right away. I thought it was going to be bigger than that. It really doesn&apos;t hold that much either. This was pretty much exactly as I expected -- it&apos;s an empty stuffed animal that kids can shove stuff in. My 10 year old was a little disappointed, having seen the commercials and made some assumptions from it. For example, she thought based on the ad that the cat would make a gobbling sound when you put stuff in it. And she thought it would be bigger. Shipping was fast, and it arrived in the standard Prime delivery window. It&apos;s quite a bit smaller than I expected and I don&apos;t think it will fit very many things inside. It&apos;s a Christmas present for my daughter. The product was as expected however the unicorn was to ship on December 8 - didn&apos;t and no follow up as to when it would be available. Please advise.